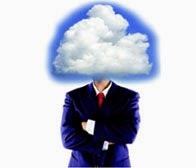 Cyberthoughts, also known as cloudrant.com, is a techblog focused on “Cloud Computing”. 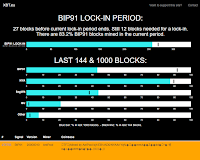 (Updated 7/24) The recent SegWit2x drama in Bitcoin world has been an interesting study. In addition, the voting has also been interesting to watch. 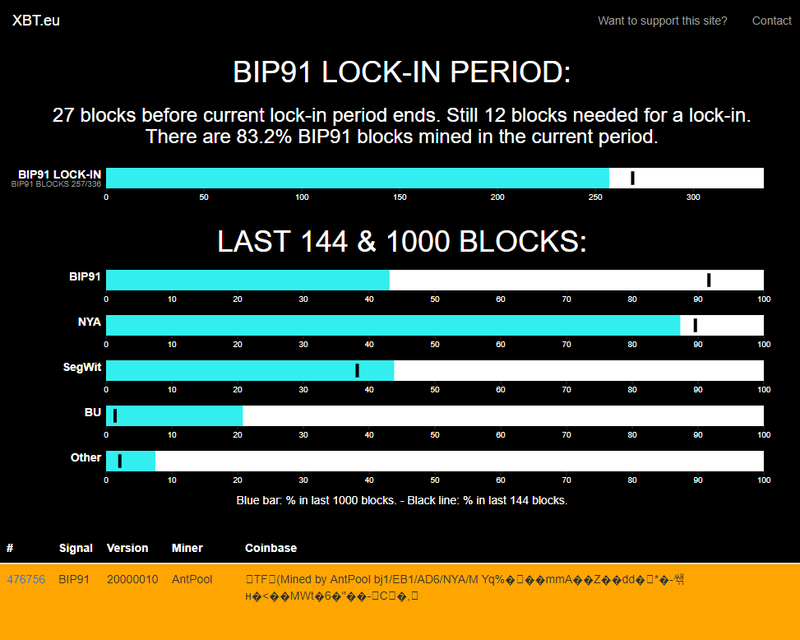 Currently at vote are two technical improvement to the bitcoin Blockchain. This decision needs to be agreed upon by more than 50% of the Blockchain miners but really you want 80%+ to agree to reduce the chance of a “hard fork” or split. This entire saga is a demonstration of how to galvanized a global group of governors to make a decision and how to use the blockchain to conduct voting in a trusted way that guarantees immutability and transparency. Any blockchain can be used but in this case, we are referring to the one used by bitcoin (and therefore, why it’s capitalized). We knew multi-cloud was coming, and now that Microsoft and Google have a viable product in the infrastructure as a service (IaaS) space, multi-cloud may be in your future. If you consume software-as-a-service, you most likely are already “multi-cloud”. In this article, my focus will be on Infrastructure as a Service (IaaS) and I’ll examine the value of multi-cloud, the considerations, and address what I think are myths. In May of 2010, I wrote my first article dedicated to explaining the benefits of cloud computing (check out that dated graphic on that page). I updated that article in August of 2012. Now, it’s time for another update, or really, more of an addendum. The cloud industry has been unfolding for quite some time now and it’s clear that it’s not a “flash in the pan” or some trendy thing that will die. In fact, it’s more relevant today than ever before! In addition, there are more players and new technologies. 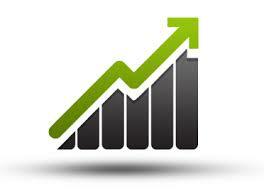 And, more importantly, the value & benefits continue to grow. I attended Google’s first broadly accessible cloud conference “Google Cloud Next 2017” back in March. Google has been lurking in the background of the top three cloud players and I’ve been eager to learn more about their offering and potential. When bitcoin gained some notoriety in 2013, I did a little research and then put it away to work on it later. This summer I decided to dedicate part of my vacation to bringing myself back up to speed on “Blockchain” and “Bitcoin” by reading the book by Don and Alex Tapscott titled “Blockchain Revolution -- How the technology Behind Bitcoin Is Changing Money, Business, and The World”. 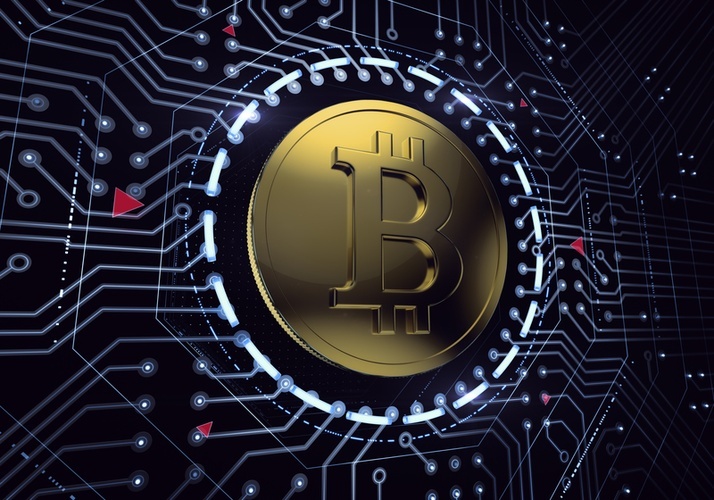 I’m now leaning toward the thought that the blockchain has the potential to impact society in a way that might surpass the birth of the internet. Core to this impact is the “disintermediation” that it will bring. The millions of people that intermediate transactions and profit off of the exchange of wealth will largely be removed. Entire industries may be shoved into upheaval. What Apple did to the phone industry, music industry, application industry, gaming industry, etc... blockchain has the potential to transform financial industry, real estate industry, securities and stock markets, music industry (again), government voting, corporate governance, and more. 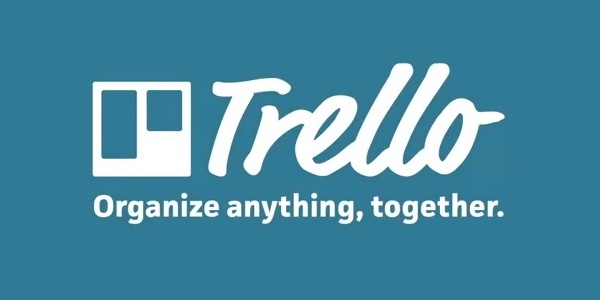 I’ve been looking for a way to do personal task management for years. I tried a paper in many forms multiple times (I don’t have it with me when I need it, its not searchable, etc). I’ve tried all kinds of todo list apps on iOS. I’ve tried Outlook multiple times with complete failure. I even tried a mind-mapping app. Oh yes, and there was that time I used a white board which was really hard to carry around. I like the "agile / scrum" approach that uses a "backlog" of things to do. You drag things from the backlog list to some level of To Do this week or in-progress, work on it, then drag it to QA or Done. When I think of my own approach to managing my task list it really works well. I can toss a whole bunch of things on the backlog and then by dragging them into a "start working on this list" to work on for the week (my sprint), it helps me focus on the stuff I really want to get done. It also helps me stop procrastinating. My rule is that I need to start the first step for everything in the "ToDo this week" list. I setup a Jira project for personal task management, complete with a scrum board and it was Kanban style. I didn’t like Jira for personal because there is way too much overhead and no connection to my personal phone (and it was slow). Offer something like the Jira Scrum plugin with the visual kanban style of tracking stuff. Ability to get a little more fancy (dates, attachments and more), but only if I need it. Everyone, including the author, has plenty of room for improvement in regards to computer, network and operational security. As people become more computer savvy (or your adversaries know someone that is) users are more exposed to computer security related threats. There are many tools that make hacking your systems easier for the less skilled, and with very little skill, thieves can access stolen hard drives in minutes. We rely on computers for everything from banking, commerce and running entire businesses. Laptops contain enough processing and storage to hold years of client and other confidential data. One of the biggest problems comes from malware, and the fact that virtually any website or email attachment can silently put your computer under the control of criminal gangs, usually in other countries. Often these gangs are from Russian speaking countries with sketchy cybercrime enforcement. These gangs make billions each year compromising the computers and bank accounts of unsuspecting users all over the world. Most business owners are unaware of a compromised system. If that system is used for online banking, hackers drain the business account which has fewer of the protections afforded to consumer accounts. This can kill a business and cause personal financial ruin overnight. Dave <last name redacted>, a security expert in San Diego, has a small document on how to prevent this scenario provided below in the “operational security” section of this. This article is applicable to everyone but if you are a small business owner, it’s wise to take a look at this article and get your security house in order. According to a 2012 report from Symantec, the largest growth area for targeted attacks were businesses with fewer than 250 employees, acounting for 31 percent of all attacks targeted. 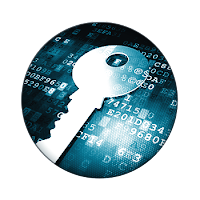 In some cases, it may become a legal issue if a business isn’t conducting some basic due diligence in regards to security. If a business isn’t taking what may be considered basic precautions to protect client information, that attorney, accountant, or social worker may have significant legal exposure. 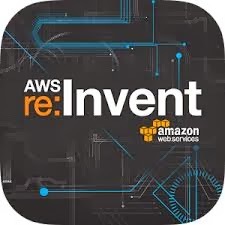 In my last cloud article, “Zynga and the cost of agility”, I referenced an article about Zynga’s return to AWS While at at AWS re:Invent 2015, I had a chance to hear first hand from Zynga’s CIO, Dorion Carroll, why Zynga left AWS in the early days and why they’re back. It was an excellent presentation and the story is a real lesson as to why a CIO should think real hard before they start buying infrastructure (even if you are going to deploy in a co-location facility). I’ve been running a network attached storage (NAS) device for many years. I’ve really enjoyed the Netgear ReadyNAS product as an easy to use reliable appliance. I started out with a ReadyNAS NV+ and upgraded about 5 years later to a ReadyNAS Ultra. I’m still happy with the unit but I need to add more storage and I want to use my NAS box to also serve movies and other media. To do that I need a lot more storage and I need more processing power. The Plex media server that I’m going to use transcodes the movies to the target viewing platform on the fly so it’s fairly CPU intensive, a lot more than the ReadyNAS is designed for. It’s time to build a custom NAS and media server. This article from RW was interesting. I remember I did a double-take when hearing that Zynga was leaving AWS but there was general agreement at the time that you could save money by hosting it yourself (as well as some flexibility) if your environment aligned to that model, but it wasn't clear what the formula was. To me it's clear that AWS has an advantage when the use case is not static environments. When your needs change, you aren't dragging the ball and chain of past decision around. This is especially true for big-data efforts and emerging businesses. But what is static these days? Businesses come and go. Product lines change. Customers needs change. State of the art in compute and architecture changes. Its' difficult to find the use case where change isn't a persistent march. Where change is slower, SaaS product prevail by taking a mature service and cost-optimizing it for their customers (ala CRM, email, etc.). Here is a small quote from the article. Those that go out and buy expensive infrastructure find that the problem scope and domain shift really quickly. By the time they get around to answering the original question, the business has moved on. While Wood was speaking of solving tough data science problems, the same principles apply to IT infrastructure, generally. When you build out a data center to solve particular problems, you're stuck with infrastructure that may not suit itself to new business challenges that arise. There are a lot of advantages of cloud computing, but this is might be a really good example of the agility advantage. Why The Snake Oil IBM? When I was at the 2014 AWS re:Invent, IBM plastered busses with advertisements that their cloud business had surpassed Amazon’s. People laughed but in my opinion, IBM has tarnished their esteemed position in industry and eroded trust. I didn’t buy the IBM cloud biz was bigger but I didn’t have the data. According to ReadWrite, they do. What’s wrong with IBM? Why have they become a “snake oil salesman”? IBM’s history is viewed by me as a trusted advisor to business. They were professional and welcomed to the bidding when it came to tech and services. By doing this, they close doors and raise the big question mark. Why? Although I'm getting this out a bit late, here is my annual review of the AWS re:Invent love-in cloud. I was excited to see what this year’s annual conference in Las Vegas would bring. I attend the conference for several reasons. I wanted to see what’s announced at the show, but more importantly, I wanted to find out what the theme and core messaging and trends are. By attending, you pick up on the theme and cantor of AWS by listening to all of the presenters. This applies not only the AWS employees at the show, but their customer presenters. AWS curates their presenters and topics to align to their marketing vector. AWS continues to be the leader of the pack by a wide margin, taking their planetary scale to the next level year after year. 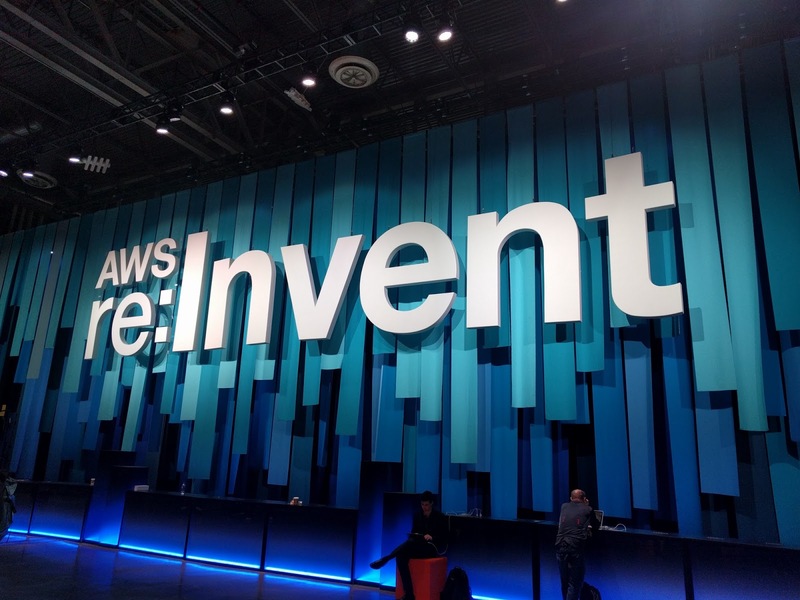 What follows are some of my thoughts about AWS as influenced by re:Invent. 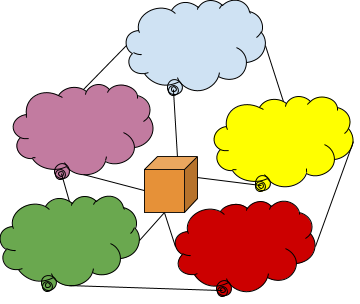 Oversaturation -- Inability to take in one more presentation, product, or discussion about cloud computing. 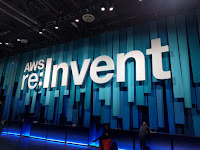 Overall, AWS re:Invent, was one of the best conferences that I’ve been too in a while. Here are some of my key takeaways from the event.